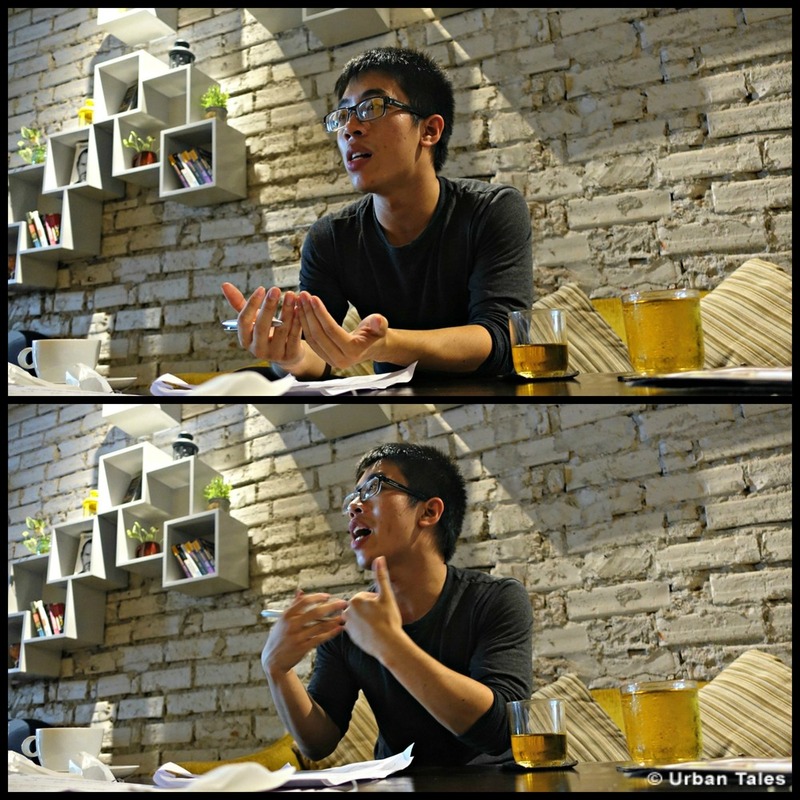 Nguyễn Thiện Thuận is a 24 years old dynamic young man who is working in the logistics department of a state media company. When he has free time, he has a very original hobby: he likes to predict the future! The method he uses is apparently one of the most accurate amongst the many existing technics. It’s called “Zi Wei Dou Shu”, “tử vi” in Vietnamese or “Purple Star Astrology” because it refers to the “Purple Star” or “Emperor Star”, the most prominent star in the sky. It originally comes from China at the time of the Tang dynasty and remains nowadays one of the most respected methods of fortune telling used all over the world by Asian people. The Zi Wei Dou Shu is a system which calculates what will happen to a person at a specific time. This method is somehow related to astrology as it requires specific birth information to be able to make a birth chart and to draw some orientations, interpretations and recommendations. It charts the movement of the planets, stars and constellations and reveals how their movement impacts people’s life depending on the specific time the persons are born. More than 100 stars are taken into account. 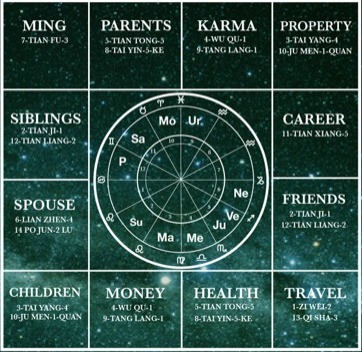 The calculations are then worked out to a chart putting the stars on 12 columns known as the 12 palaces, which are in fact 12 important sectors, or aspects of our life: self, karma (emotions), parents, property, career, friends, travel, health, money, children, spouse, siblings. 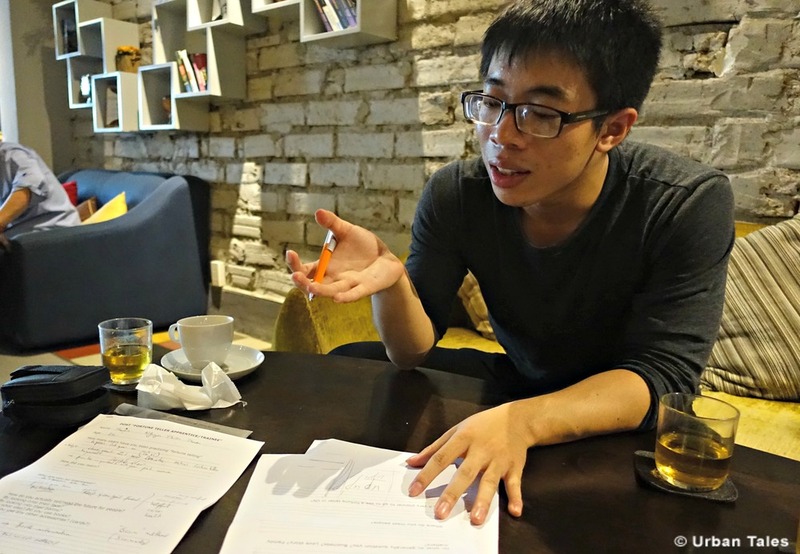 It’s been 4 years since Thuận started to learn about Zi Wei Dou Shu method all by himself, mainly using ebooks, during his time at university. First he started to do it as a tool for himself to better manage his relation ship with his girlfriend at the time. He wanted to be able to avoid their quarrels, to adapt his attitude towards her, basically he used Zi Wei Dou Shu calculations because he desperately wanted to keep her. That was his main motivation and he had to admit that Zi Wei Dou Shu was accurate and that he could not do anything to escape his own predictions. At the end they broke up. So he started to use it as a tool to help and to know better his close friends. Whatever problem or question they had about their career, or health, or exams or their love story, they would come to him to hear what he had to say. Depending on his predictions they could adjust their life, trying to focus on the good things and not getting frustrated about the things they could not control or prevent. 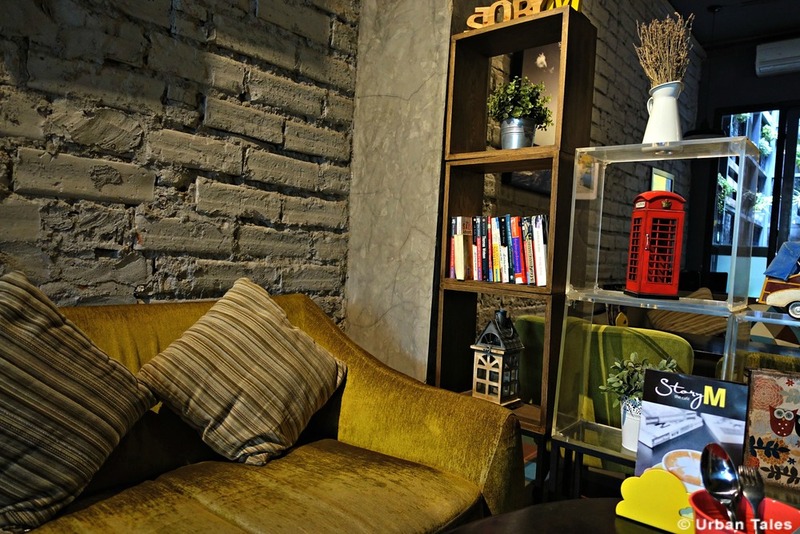 What Thuận calculates according to the birth information is not always true and he needs to get confirmation by asking precise questions about the past to the person he’s talking to. Sometimes he uses as well some other methods such as the “6 coins” method, when it comes to closed- ended questions. It consists in throwing 3 coins in a cup, 6 times in a row and getting 6 combinations, then calculating a result. He’s learning more methods a well but his favorite remains the Zi Wei Dou Shu. A Zi Wei Dou Shu session would have a different duration depending on the issue. Thuận usually needs 1 to 2 days to confirm the information the Zi Wei chart is showing and he usually talks to his friends on skype or messenger. Thuận would predict the future only to his close friends, his girlfriends and his colleagues, never to his family. People usually ask him questions about their love life, but as well about their finances and their career. When he foresees something negative in his friends’ future, he would rather give them some advice than saying it bluntly. Of course he does not get any money from this, he’s doing it from the heart and because he loves helping people. Asking money for it would ruin his happiness and his conception of life, said Thuận. It is interesting to see that many young Vietnamese regardless of their level of education, religion or ideology, believe in fate and destiny. They would not consider making a major decision, whether it involved wedding, opening a business or building a house without considering the lunar calendar and consulting a fortuneteller, especially before TET. They would always seek to know their future through a variety of divinatory means. Cholon is a good place to observe some occult practices in pagodas like Tam Son, so if you are interested, book our self-guided tour and come investigate the strange case of Dr. Lam!